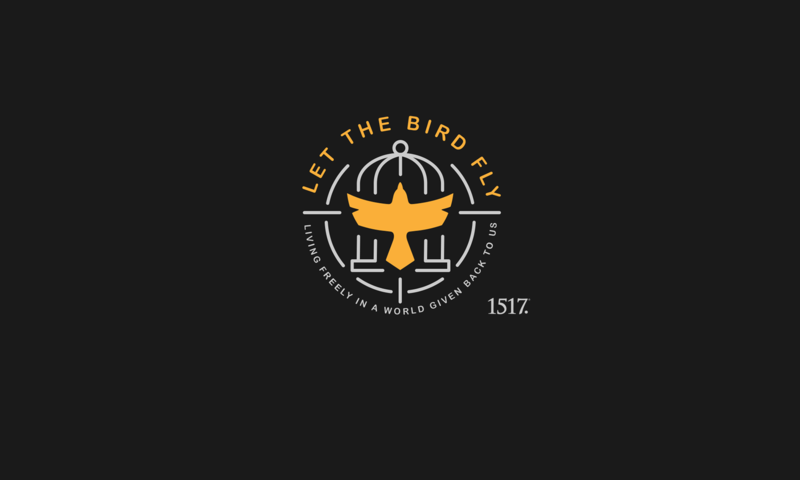 The Lord’s Banquet – Let The Bird Fly! The Lord’s banquet room will not be empty. The wine will flow. The food will be served. Music will play. Conversations will be had. The Lord’s table will be crowded. He will make sure of that. Did you hear that in the parable today? The great man in the parable prepared a great feast and invited many guests. All was prepared. No expense spared it seemed. Everything was going to be perfect. There was to be a party and a party needs guests. But those invited shrugged their shoulders. I have things to do and places to be. I get it. You get it. There are plenty of places we need to be and plenty we need to do. How sad it is, at least for me, that I do not want to go to the banquet anymore, to the wedding, to the party, to the gathering. I’m tired. I got things to do. I have other places to be. So I skip, I make excuses, I pretend that I am so overwhelmed with matters because I am, after all, really important. So the guests the man invited said, I just got married. I have my own life. I just bought oxen, I have a job. I just bought a field, I have responsibilities. Don’t you understand that I have my own life? Don’t you understand how busy I am? Don’t you understand how important I am? I get it. You understand too, don’t you? Life is full enough as it is. And there is nothing wrong to saying no to this stuff. But the great man in the parable was throwing a party. And his table would not be empty. So he moved on from those he invited first. In a bit of anger, he said, “Fine. Go to the streets then. Go to the allies. Go to the places where you will not find people who have in their closets fine banquet clothes worn many times but to those who have never been to such a banquet. Invite them. My table will not be empty. The Lord’s banquet room will not be empty. The wine will flow. The food will be served. Music will play. Conversations will be had. The Lord’s table will be crowded. He will make sure of that. 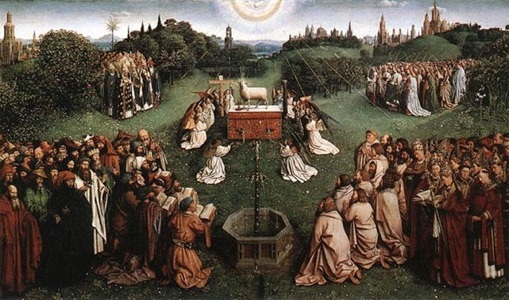 So Christ the host of this meal, the Lamb’s High Feast in heaven, and the host of this meal, a taste of heaven we get today in Communion, he will make sure the table is full. But as we sadly know there were many who saw but rejected, who heard but denied, who knew but did not believe. They turned down the invite. The excuses are still the same. Don’t need it. Don’t believe it. Don’t want it. I have a full enough life as it is. Now those of you sitting here of a certain age or older will wisely tell us how quickly time slips away. There is no such thing as time to kill. And you will tell us of the regrets of not doing this or that, turning down the invite and that request. But it is so much more when it comes to the invitation to the Lamb’s High Feast, isn’t it? And not just because this is a picture of rejecting forgiveness, salvation, and ultimately heaven, but also the full life God has laid out before us. The work will get done. The field will get plowed. The oxen will get fed. There’s time. There is. Stop and ponder anew. Stop and enjoy this place. Stop and be with each other. Stop and be enveloped by both the unending grace of Christ but also his beautiful teachings that touch every corner of your life. Stop and think. Stop and ponder anew. The work will get done. In fact, I can almost guarantee that the more peace you have in Christ and the more freedom you allow yourself, the more productive you will be. But this parable is about more than balancing your time, as if that was even possible or even that important in the end. This is about God’s grace offered to all. To the ones you would expect to be granted a prestigious invitation to the great man’s banquet and to the ones you would least expect to be invited to the high class party, the ones in the streets and in the allies. The ones with no standing, the ones with no fancy clothes, the ones with no status, the ones no paparazzi would care about. The great man does not care about the status of his company as if his party was for his own reputation – A list guests, the latest music, and the finest food. No, his reputation is already secure. He’s not so insecure to desire such pettiness. No, his table will be full because he is that gracious. So better to be the gal in the streets, right? Better to be the guy in the alley, right? That is to say the one who would not be normally invited to a party like this. No standing, no fancy clothes, no status. A list? Not even the D list. The point is we don’t deserve the invitation. And one of the greatest gifts, even though it seems so backwards, one of the greatest gifts God give us is a healthy reminder that we are not that great. We are not so busy, so important, so overwhelmed that we cannot be bothered with his banquet. He’ll remind us of that from time to time. It’s his law. His alien work. He’ll remind us. So who are you? The one who is too busy? Too important? Yeah, that’s me and that’s you. We just can’t be bothered, can we? Well, God is gracious enough to remind us that we really are the ones in the alley and in the street. Ones who are thrilled to be invited, who would drop everything to come, who would scramble to find clothes for such a fancy occasion, who are overwhelmed by the honor of the invitation because it came out of nowhere. In the toady’s parable the ones who rejected the invitation are those who have legitimately said, “No thank you to grace.” So they are left with a situation where they have to justify their actions before God without the righteousness of Christ covering all their sins. It’s not a good choice. It’s the one situation in which you do not want to find yourself. But we sinners are also those people. “No thank you, we’re good with what we have.” How sad it is that we settle for something unworthy of the grace God has given us. But by God’s action we are reminded that we are also the slum in the streets and the alleys. He reminds us of this through his law, sometimes very painfully. I am glad he does. Because then he says, “Now come, you have been invited. Now come. On this mountain I will prepare a feast of rich food for all peoples, a banquet of aged wine, the best meats and the finest wines. On this mountain I will destroy the shroud that enfolds all peoples, the sheet that covers all nations; I will swallow up death forever” (Is 25:6-8a). Oh, and I know that you don’t have clothes for a party like this. None of you do. There are no man-made threads good enough for this banquet. So he provides that as well. Your baptismal clothes. The righteousness of Christ. So you who are very busy. I get it. I know. So you who are very important. I get it. You are. So you who have great responsibility. I get it. You do. And it’s OK to say “No” to a lot in this life. Just remember the work will get done, it will. But this banquet’s invitation? It’s a bit different. It’s heavenly. And God who has dressed you for the occasion already, we will get you to the table. By law and by gospel. The Lord’s banquet room will not be empty. The wine will flow. The food will be served. Music will play. Conversations will be had. The Lord’s table will be crowded. He will make sure of that. And you will be there.